Summary: 102 Not out is a film based on a Gujrati pay by the same name. A father named Dattatraya Vakhariya, played by Amitabh Bachchan is a 102 year old man with a mind still young and body full of spirit. 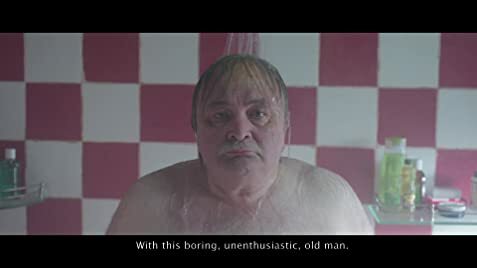 His son Babulal Vakhariya played by Rishi Kapoor is of 75 years and for some reason has lost interest in his life; or in his own words: "Has accepted his old age" and is annoyed for most of the time. 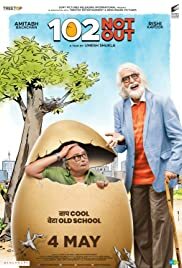 On one of the Valentine's day, Dattatraya makes an unusual announcement of sending Babulal to old age home so that he can break the world record for living longest. He thinks that the sad and boring life of Babulal is a hinderance for this record. Babulal opposes and in order to stay in the house, Dattatraya offers some challenges to Babulal which will make him a jolly and delightful person. This is a 102 minute film and all of the above things happen within the first 15 minutes. What follows is the struggles of Rishi Kapoor to complete each and every challenge and how with each challenge he finds happiness and tries to bring back his original self. The movie though portrayed as light hearted from the trailer has many strong and intense emotional scenes which are played to perfection by all the actors. A special applaud to Jimit Trivedi who plays a strong supporting character in taking care of both the old people. Beneath all the fun and emotions there is a strong underlying message that this film succeeds in delivering to the audience. For me, in this film acting of Rishi Kapoor was slightly better than Amitabh Bachchan and he plays all the diverse emotions to near perfection. The film is not a classic and in my opinion it does not aim to be so. The songs though are not particularly exceptional but they do give a boost to the movie. There are scenes where some of the old classic songs such as "Waqt ne kiya kya haseen sitam" are played and these scenes in particular are a joy to watch. The film, however, I think rushes to the climax hastily and does not deliver the same level of emotions that other scenes in the movie deliver. The dialogues of the movie are good; not exceptional but good. They are funny because the acting is very good. Bollywood has made this type of movie after a long time. Should watch it.